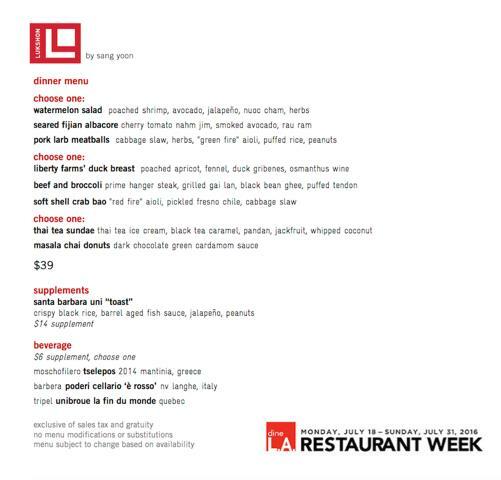 dineLA Restaurant Week is Here! 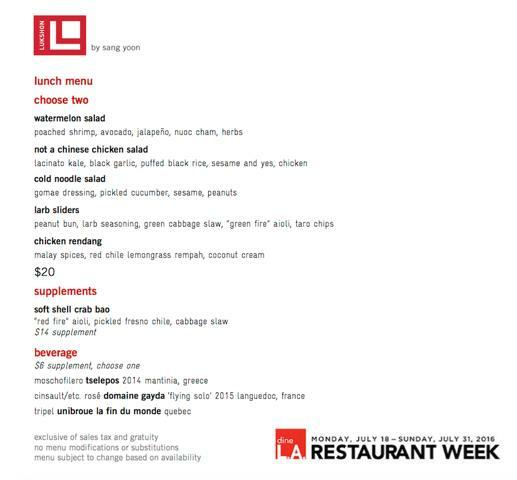 dineLA Restaurant Week officially started on July 18th and runs through Sunday, July 31st. This is your opportunity to visit all those restaurants around the city you’ve been meaning to try, including our very own Lukshon. Lukshon is an inspired interpretation of modern Southeast Asian cuisine offering both lunch and dinner dineLA menus, $20 and $39 respectively, that include some of their signature dishes such as “not a chinese chicken salad”, larb sliders, and beef and broccoli. Plus some supplemental menu items like santa barbara uni “toast” and soft shell crab bao. Add on a glass of wine or beer to complement your meal for $6 and you have the makings of a great dineLA deal! But if you’re like us, you can always try something from their regular menu as a share plate for the table to make sure you get a complete introduction to Lukshon’s refined, regional flavors. 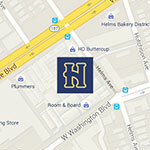 Neighborhood Spotlight #3 - Culver City Turns 100!